A practical guide to mental and emotional freedom! Feeling lost about how to effectively treat disturbing intrusive thoughts? You're not alone! This book contains the best advice from a former sufferer of anxiety, depression, and intrusive thoughts. Inspired by compassion, this book is a gift to fellow casualties of negative thought patterns, destructive behaviors, self-loathers, and those wishing freedom from persistent demons. Only by meeting our demons face-to-face can we hope to prevail and achieve inner peace. Happiness is a trainable, attainable skill! The most proven method for successfully treating mental suffering is CBT. However, there are also complimentary practices coming from Buddhist and Stoic philosophy. 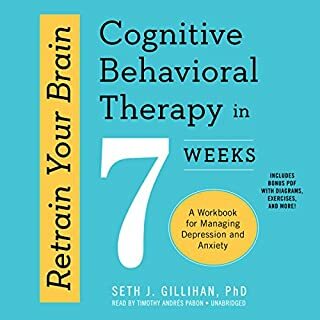 This book is aimed at equipping you with the best and most effective techniques for overcoming depression, anxiety, and intrusive thoughts. These are long-term solutions that have stood the test of time and scientific rigor. Self-compassion is at the heart CBT. Take a chance on this book today! Break bad habits and enjoy life! Optimal life management + bonus workbook! I couldn’t bare listening to the sound of this guy’s voice . Nothing to do with CBT. Happiness is in the quality of your thoughts. If you can change your thoughts, you can change your life. And that's exactly what this book teaches you how to do. I really enjoyed this book. It's filled with highly helpful information on how to cope with anxiety, depression and negativity in general. I realized that I have a lot of negative thoughts that I was not aware of, and now I'll apply what I read in the book to start having a more positive life. 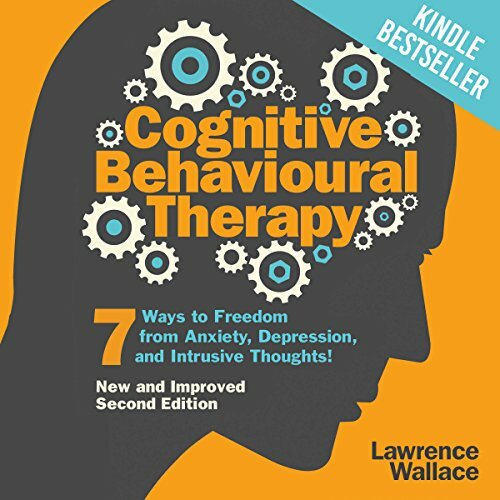 Would you consider the audio edition of Cognitive Behavioural Therapy to be better than the print version? I am not a kind of person who loves reading and so I would say this audio is best for me rather than its book. I also felt that the reader talked to me personally and concern about me. This self help book is an inspirational and really motivated me. Can't wait for the other audio book of same author. What about Rob Drex’s performance did you like? I want to thank the author for making this audible since I have understood it better than reading. It motivated me to become a better man. Want more of this. This book has helped me a lot. 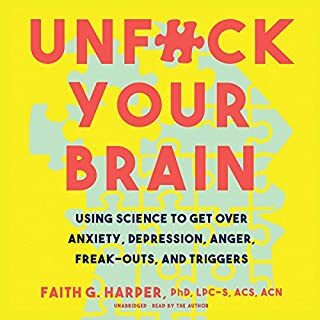 Recently had bouts of acute anxiety and was looking for something to guide me, this book has changed me for the good and I couldn't be more grateful that this book helped me a lot. A wonderful resource to have at your fingertips. Some excellent tips on how to combat depression and anxiety. Learned a few new mechanisms to try out in the future. Pleased I found this one. Nice work! If you could sum up Cognitive Behavioural Therapy in three words, what would they be? 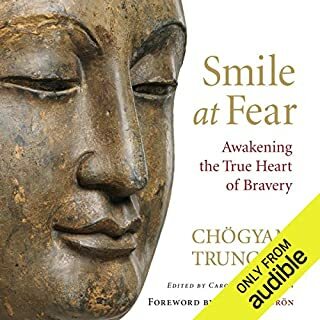 This audio book helped me in realizing many things and where to focus once negativity will hit the ground. An almost 2 hour audio is really worth listening. What didn’t you like about Rob Drex’s performance? The inflection in his voice when he tries to sound like a different character is somewhat painful. Good information with the right narrator. Great aid in beginning to come out of depression. It is a gold mine for someone with depression or other mood disorders who is looking for something beyond psychoanalysis that can deliver results fairly quickly.As a sufferer of chronic depression and anxiety, I found this book extremely helpful. His CBT approach is very helpful in teaching you to analyze your thoughts and it teaches you how to think differently. 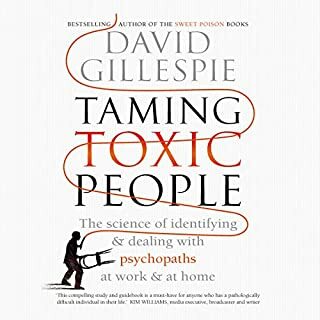 The techniques and insight of this audiobook, along with general progress, has helped my anxiety tenfold. ok, ideas in the book are good. However, the narration is soooo awful. For me it really put me off and I had to force myself to listen to it. It sometimes sounds like you're being read to my some faux-human pc speech program, sometimes even more monotone. His 'first person' voice for such statements like "what if nobody likes me?" are read in a condescending voice that I couldn't work out if it was a joke/dare. His female voice sounds like a bad (no not bad, more derogatory) impression of a flamboyant drag queen. I've listened to a number of books on audible monthly plan, this is my first review, I feel that strong about it. I sincerely hope that it doesn't put someone off who needs the book's messages and techniques. I will need to buy this book and read it myself. I am very open to the information provided in this book, but felt the tone in which it was read to be somewhere between patronising and a bit airy fairy. I forced myself to get past that and listen to the content, which is very good. This is an easy to read, powerful resource for anyone struggling with anxiety or depression. The book is extremely relatable; it is written in a warm and welcoming tone, encouraging and empowering you to learn new skills. this book was the first time I can distinctly remember thinking in depth about the way I view my relationship between my thoughts, feelings, and actions. 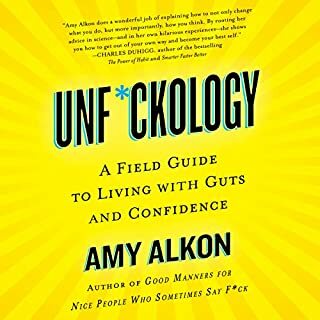 Some of the philosophy expressed in these audiobook helped me, and still helps me, feel less bad about things, via viewing feelings as results of thinking and knowing that I'm able, to a large degree, to choose/control the way I react to situations. Amazing book. I saw it on my therapist desk and decided to download.It. Now I know all her techniques! After years of anxiety, panic attacks and constant paranoia and worry the excersices in this book really help.me. great book! The book contains a lot of helpful tips on how our mind can be so powerful. Easy to use in daily life, each step prepares the reader for the steps ahead in order to beat anxiety and negative thought processes.This book stands out for its easily readable explanation of what cognitive behavioral therapy is and the practical advice.I really love the lessons I learned from here Easy to follow instruction work book was useful and easy to follow instruction well written great started options to self help and I strongly recommend it. The introduction is great and had me interested quickly. This author speaks freel and the tone is comfortable and easy to understand. The breakdown of WHY and HOW is not intimidating and actually very interesting. 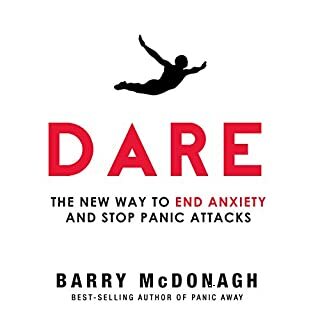 Especially the history of different methods used for patients with anxiety.highly recommended.